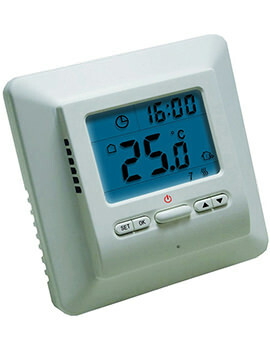 Underfloor Heating Thermostat regulates the temperature of underfloor heating systems. These devices work by switching the systems on and off, sensing the temperature of a system, activating the system when the temperature falls below the desired setting and switching it off when the temperature reaches a certain point. 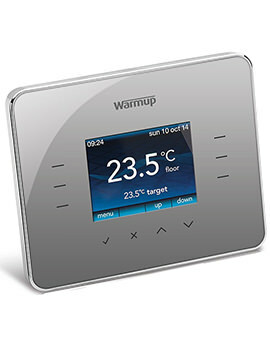 We supply a variety of underfloor heating thermostats ranging from manual to digital or smart thermostats. 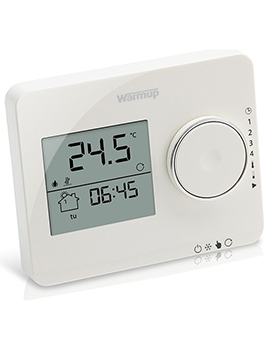 Key features of these thermostats include Smartphone control, self-adjusting, learning mode, energy monitoring, personalised settings, up to 5 programmable periods, data protection, intuitive control of your heating and much more. They are available in two colours: onyx black and bright porcelain. 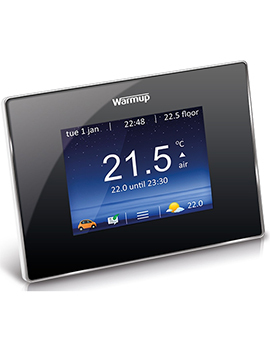 The 3iE Thermostat boasts features such as Active Energy Management feature which reduces energy use, up to 10 programmable periods per day, easy to use interface, unrivalled accurate temperature controls and much more. 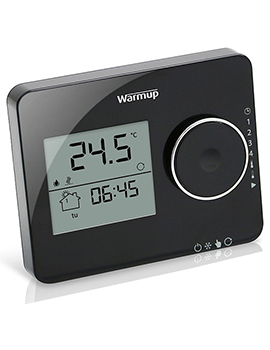 Key features of this thermostat include fast set-up, easy control with dial and sliders, stylish and contemporary design, and many others. It is available in either black or white, both suitable for all WarmUp hydronic and electronic underfloor heating systems. This option works best with electric underfloor heating systems. Some of its appealing features include simple and easy to use interface, 7-day programmable settings and cost effective. 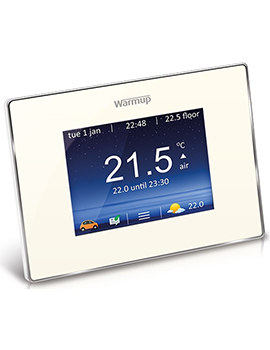 For touchscreen feeling, you can select the Sunstone Touchscreen Thermostat with Probe. 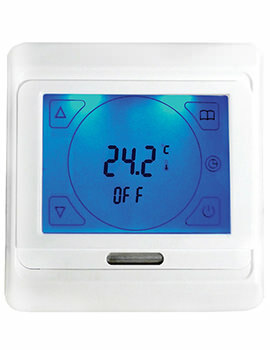 Key features of this thermostat include a Cable length 3m, an NTC 10K sensor, easy to use interface, and compatible with 3iE and 4iE thermostats. 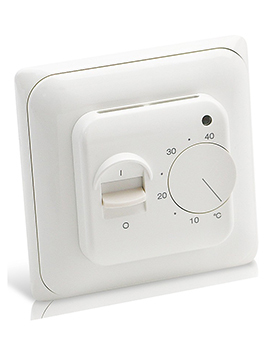 Even without programming, this option allows you to target your desired temperature. It is ideal for rooms that don't require you to install a heating system. How to Select the Right Thermostat? 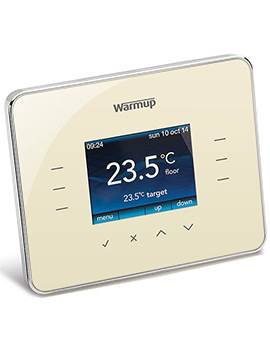 Choosing the correct underfloor heating thermostat is important in ensuring that your underfloor heating system works easily and efficiently. Here is how to go about it. 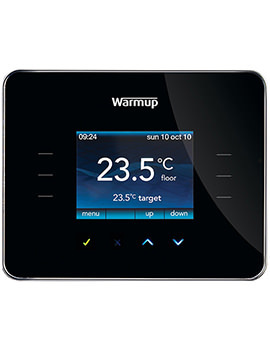 For instance, it is a good idea to choose underfloor heating thermostat if you have WarmUp hydronic and electronic underfloor heating systems. You need to determine whether the program is programmable, digital, mechanical or simply manual, and also consider the set of features they come with.